Here’s my vision: I get into the office and switch-on my laptop; then I start-up my Spark cluster; I interact with it via RStudio to exploring a new dataset a client uploaded overnight; after getting a handle on what I want to do with it, I prototype an ETL and/or model-building process in Scala by using Zeppelin and I might even ask it to run every hour to see how it fairs. In all likelihood this is going to be more than one day’s work, but you get the idea - I want a workspace that lets me use production-scale technologies to test ideas and processes that are a small step away from being handed-over to someone who can put them into production. installing and configuring Apache Zeppelin for Scala and SQL based Spark interaction, and for automating basic ETL/model-building processes. I’m running on Mac OS X so this will be my frame of reference, but the Unix/Linux terminal-based parts of these posts should play nicely with all Linux distributions. I have no idea about Windows. You might be wondering why I don’t use AWS’s Elastic Map Reduce (EMR) service that can also run a Spark cluster with Zeppelin. I did try, but I found that it wasn’t really suited to ad hoc R&D - I couldn’t configure it with all my favorite tools (e.g. RStudio) and then easily ‘pause’ the cluster when I’m done for the day. I’d be forced to stop the cluster and re-install my tools when I start another cluster up. EMR clusters appear to be better suited to being programmatically brought up and down as and when required, or for long-running clusters - excellent for a production environment. Not quite so good for R&D. Costs more too, which is the main reason Databricks doesn’t work for me either. Sign-Up for an AWS Account! 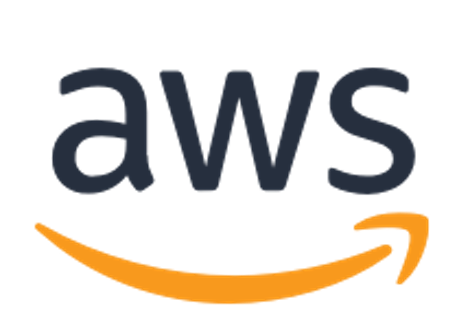 Once you’ve entered your credentials and payment details you’ll be brought to the main AWS Management Console that lists all the services at your disposal. The AWS documentation is excellent and a great way to get an understanding of what everything is and how you might use it. It is considered bad practice to login to AWS as the root user (i.e. the one that opened the account). So it’s worth knowing how to setup users, restrict their access to the platform and assign them credentials. This is also easy to to. For now I’m just going to create an ‘admin’ user that has more-or-less the same privileges as the root user, but is unable to delete the account or change the billing details, etc. There are an enormous amount of policies you could apply depending on what your users need to access. For example, we could just as easily have created a user that can only access Amazon’s EMR service with read-only permission on S3. 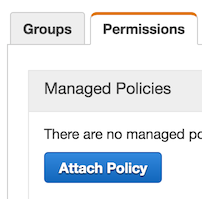 Finally, because we’d like our admin user to be able to able to login to the AWS Management Console, we need to given them a password by navigating to the Security Credentials tab to Manage Password. Log out of the console and then back in again using this link, as your new admin user. It’s worth noting that the IAM Dashboard encourages you to follow a series of steps for securing your platform. The steps above represent a sub-set of what is required to get the ‘green light’ and I recommend that you work your way through all of them once you know your way around. For example, Multi-Factor Authentication (MFA) for the root user makes a lot of sense. 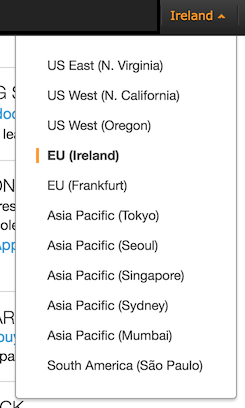 In order for you to remotely access AWS services - e.g. data in in S3 and virtual machines on EC2 from the comfort of your laptop - you will need to authenticate yourself. This is achieved using Key Pairs. Cryptography has never been a strong point, so if you want to know more about how this works I suggest taking a look here. 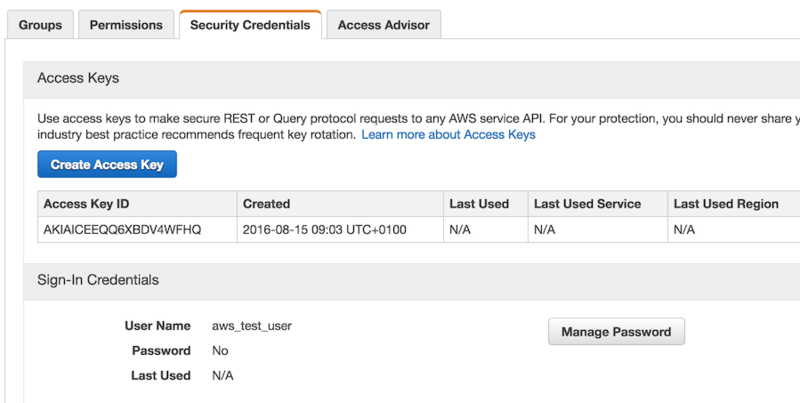 To generate our Key Pair and download the private key we use for authentication, start by navigating from the main console page to the EC2 dashboard under Compute, and then to Key Pairs under Network & Security. Once there, Create Key Pair and name it (e.g. ‘spark_cluster’). The file containing your private key will be automatically downloaded. Stash it somewhere safe like your home directory ,or even better in a hidden folder like ~/.ssh. We will ultimately assign these Key Pairs to Virtual Machines (VMs) and other services we want to setup and access remotely. By no means an essential step, but the AWS terminal tools are useful - e.g. for copying files to S3 or starting and stopping EMR clusters without having to login to the AWS console and click buttons. to list all the buckets we’ve made in S3 (currently none). All of the above steps could have been carried out through the console, but I prefer using the terminal. We are now ready to fire-up a Spark cluster and use it to read our data (Part 2 in this series of blogs).